THE “COLES NOTES” or shorthand description of the process to acquire new jets is easy to outline — simply do the exact opposite of what the previous government did. The previous government produced a Statement of Requirements (SOR) that was wired or fixed so that only the F-35 could win. This government should produce an SOR that would encourage multiple bids. The previous government never made the SOR public. The new government should make the SOR public and encourage public debate. 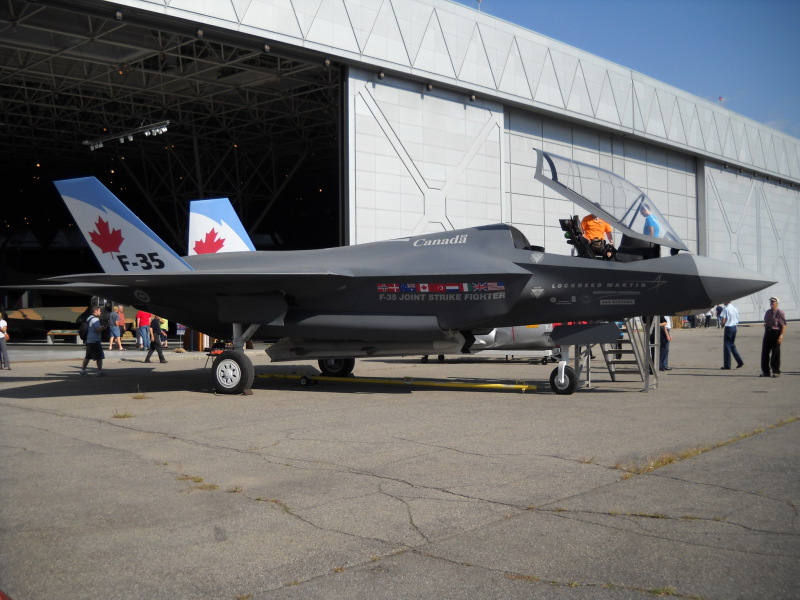 The previous government continually distorted the truth and misled Canadians with respect to the F-35’s costs and capabilities, presenting flawed and misleading arguments to justify acquiring the F-35 (e.g., interoperability, industrial benefits). This government should treat Canadians with respect and speak truthfully in responding to questions. The previous government viewed industry as the enemy. This government should reach out to industry for input and comment. The previous government was afraid to admit mistakes. This government should admit if and when mistakes are made. While there is not enough space to detail the complete procurement process here, let me highlight a few of the most significant challenges dealing with the SOR and the request for proposal (RFP). If this is indeed the government’s position, it must provide the military with this direction as the foundation of the SOR. ▶ The possession of stealth capabilities that make detection by enemy sensor systems exceedingly difficult. ▶ Capable secure data link communications permitting operations in a hostile environment. ▶ Capable of permitting the pilot to visually operate the aircraft in no-light conditions. ▶ Capable of automatically sharing data and sensor information between friendly aircraft to maximize own aircraft and formation effectiveness. ▶ Capable of permitting the pilot to effectively detect and engage small targets at tactically significant ranges. The Liberal government must ensure the SOR is not wired or fixed to benefit one supplier. The previous government’s approach was to invite unaccountable outsiders to review the SOR. All this accomplishes is to delay the procurement process and obfuscate accountability further. Rather, the Liberal government need only enforce the existing accountabilities. The military is responsible for the drafting of the SOR. ADM(MAT) is accountable to the deputy minister and minister for ensuring the SOR is not wired for a particular outcome. Hold each party to account! Finally, the SOR must be made public. If there is any bias in the SOR it will be uncovered through public disclosure. Hiding the document from public scrutiny breeds cynicism and reinforces the public’s view that the government has something to hide (as it did in this case). Facilitating public debate is healthy and leads to better understanding of the role of the jet aircraft in fulfilling the government’s vision of the military’s mandate. As with the SOR, it is vital for the integrity of the process that the RFP will encourage multiple bids by the leading jet suppliers in the world (including Lockheed Martin if it chooses to compete). The challenge is to ensure that the specifications in the RFP mirror the requirements in the SOR. One useful approach to achieve this objective is to distribute the RFP as a draft document to industry for its comments. While there is no obligation on the part of the Crown to make all of the changes suggested by industry, it does provide important feedback on potential specifications that hinder or limit competition. These can be remedied before the RFP is finalized. In this short opinion piece I have just touched upon a few of the minefields the new government should try to avoid. Replacing the CF-18s will be a complex procurement. It is a wonderful opportunity for the new government to display a real grasp of the fundamental tenets of defence procurement: openness, fairness, transparency and clear accountability. Alan Williams retired in 2005 after a 33-year career in the federal public service, with the last 10 spent in defence procurement.